Unless you're already in a relationship, it seems like everyone is dating online nowadays. After all, swiping and matching is easy, fun, and you can do it just about everywhere. But bringing your online match into real life can seem like an impossible hurdle to overcome. If you want to bring your online date into the real world, here are some essential tips and tricks to making your virtual world a reality. 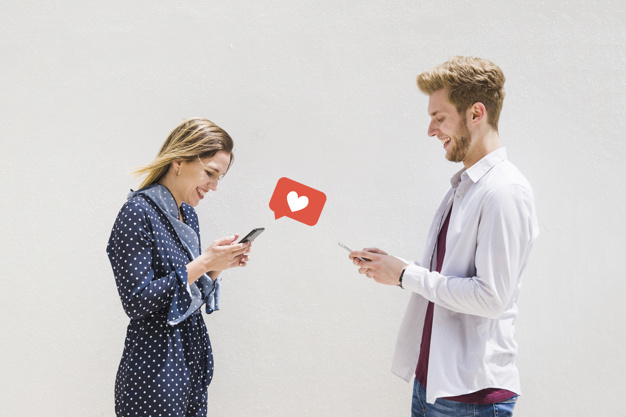 Between Bumble, Christian Mingle, Hinge, OkCupid, and even Facebook jumping on the bandwagon, countless dating apps are constantly vying for the top spot. They each use a range of formats, algorithms, and design schemes to give their users a successful dating experience. But some apps rely on different schemes. Most of these dating apps have a typical clientele they're trying to appeal to. While Tinder got the reputation for being a great hookup app, people who want more serious relationships might choose a paid subscription like eHarmony or Match. It's okay to try multiple dating sites, but don't fall for a pretty design layout if they don't have the tools to help you find what you're looking for. At the same time, don't trust an ugly app -- it's estimated that 38% of consumers will leave a site if it's unattractive, meaning that you're losing out on potential matches. Instead, do a little research about the dating apps you're interested in and dive in when you're ready. If you hit it off with someone, of course you're going to want to go on a date! But you shouldn't have to ask multiple times or drop a thousand hits to gauge the other person's interest. If you notice your online match blows off your questions or makes excuses for not meeting in real life, it's time to direct your efforts elsewhere. Some of the time, it might be plain shyness. But other times, it might be a catfish or a scam artist trying to weasel you out of money. In fact, nearly 230,000 people are affected by dating scams in the United Kingdom each year. You never know when it can happen to you. Regardless, this isn't the type of person you want to date in real life. Dating is a two-way street and making the effort to meet in real life is a necessity when it comes to online dating. You've finally gotten the date! Now what? While your date shouldn't judge you based on what car you drive, it doesn't necessarily make for a good first impression. Just like you take the time to clean yourself up and pick out a great outfit, you should do the same for your car. Before your date, impress them with a clean car that's devoid of any scratches or dents. It can make the driver seem careless or lazy since they didn't take the time to fix an obvious problem. It's estimated that deep paint scratch repair can cost up to $3,000 if the scratch is really bad. If you can't fix your car in time for the first date, you might want to take a ride share to pick up your date. Confidence is key when it comes to meeting someone in person for the first time. Whether it's putting on your favorite tie or swiping on your most flattering shade of lipstick, when you feel good about the way you look, so will those around you. But don't let your date shame you for not wearing makeup on the first date. Even though 83% of women regularly wear makeup, your appearance should be defined by you, no one else. Don't be afraid to ask your date questions, but save the heavy topics, like politics and religion, for a later date. You want to keep it light and fun; imagine you're forming a friendship instead of a relationship. By finding common hobbies, you'll know whether or not you can be together in a more casual setting. There are countless tips for online dating, but none of them will come to pass unless you put yourself out there. Follow this advice to make your online date a real win.